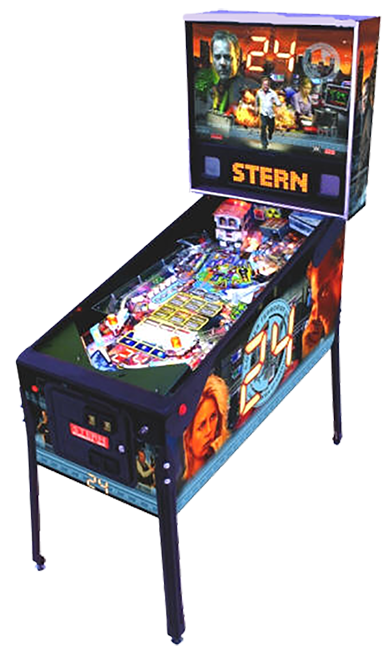 The 24™ pinball contains original speech by Mary Lynn Rajskub, who plays Chloe on the television show. 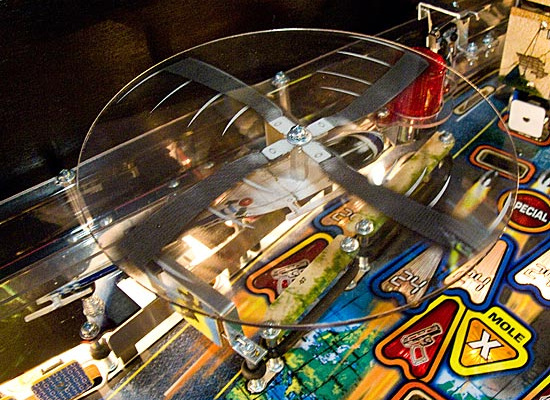 The pinball also offers speech from the television show, as spoken by Jack (Kiefer Sutherland) and Chloe. The 24™ pinball machine playfield features: 1. a Suitcase that holds and releases pinballs for multi-ball play; 2. a Sniper House that opens to reveal a bullet-spraying terrorist; 3. an exploding Safe House that one can shoot the pinball into; 4. several single Sniper Drop Targets that can both obscure and free up playfield shots; 5. and lots of multi-ball action.